As I look back on 2017 I immediately think of two things. Grieving the loss of my father and the joy of my family. It's important to understand within joyous moments sorrow can also exist and that's OK. A successful year doesn't mean I didn't experience any lows or pain. A successful year means I fought hard. I fought for faith, my marriage, kindness, my children, and love. I cried so many tears and smiled so many times. 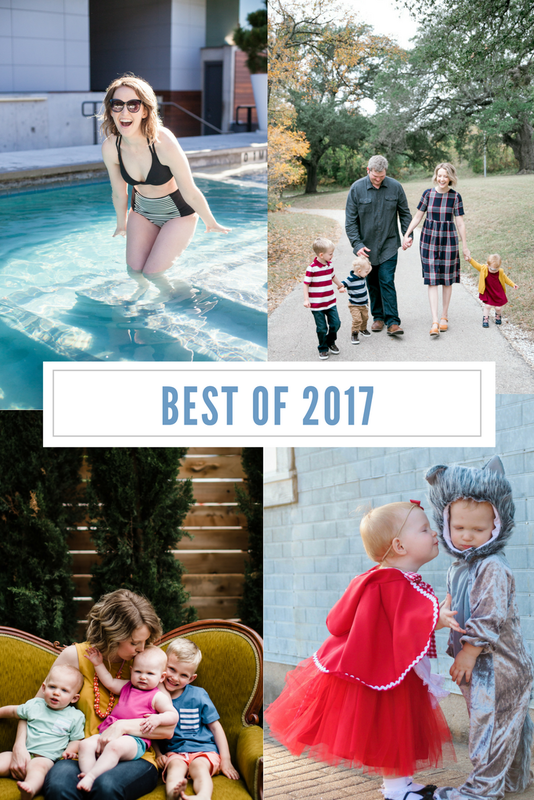 I'm sharing a recap of my favorite experiences in 2017, and what I'm looking forward to in 2018! - This time last year I watched the Minimalists documentary and decided to challenge myself to NO shopping for 6 months. See how I did here! - Celebrated Walt and Whitney's 1st Birthday with family and friends at our home. Made an adorable video of their cake smash photo shoot and I cry every time I watch it. - Had a DREAM GARAGE MAKEOVER by Lowe's and was featured on The Weekender YouTube series. - Attended the Thrive Blogger Conference in Houston, TX. Excited to be moderating a panel at this year's conference in Austin! - Took my first SoulCycle class and loved it! - Guest blogged for Athleta, which was a major milestone for me as a blogger. - Hosted my last ATX Blogger Mixer. I wasn't planning on it being my last event, but I was ready for a break and haven't had the desire to do another one since. - Alex and I celebrated our 7th wedding anniversary with much needed kid-less vacation to Riviera Maya, Mexico. I'm already dreaming of the next trip! - Hit 100,000 YouTube views on my twin birth story. This video was shot on my iPhone while I sat in my closet. For so long I put off YouTube because I was scared of it not being high quality, but I finally dove in head first and did it. You don't have to have the perfect gear to start a project. Do what you can with what you have! - Traveled to Columbus, Cincinnati, Seattle and Portland for work. My mom was able to travel with me to Seattle and Portland, and it was wonderful getting to experience two new cities with her by my side. - Celebrated Turner's 5th birthday with a GIANT RAINBOW BALLOOM and a party in our front yard surrounded by friends. - Hosted an event at Austin restaurant, Eberly, for Beefeater Gin and met new blogger friends. - Went tubing with family on the Frio river to celebrate the 4th of July. - Attended the Texas Conference for Women and shed a few tears when Sheryl Sandberg spoke about the loss of her husband. - Had our first major scare when Whitney cut open her head at the pool of Tapatio Springs Resort. 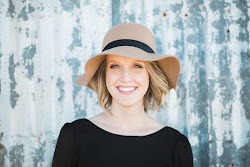 - Partnered with amazing brands including Freshly Picked, HEB, James Avery, Campbell's Soup, Everlane, Wayfair, Swedish Hasbeens, PureBarre, Outdoor Voices, Aveeno, Fossil, and Gymboree. - Vacationed to Mo-Ranch, 3 hours from Austin, with our neighbors and created a fun YouTube video of our trip! - Ate a crap ton of freezer meals because....parenting + working full-time + blogging = no joke. - Explored Charleston, South Carolina with my mom and sister on our annual girls trip. Planning on going somewhere tropical in 2018. Any recommendations? - Took a Mint & Maple calligraphy class and a photography class by Chelsea Lane Francis. I really love writing this post, because it's easy to forget all the things that happen in a year. So many wonderful experiences with family and friends even though there were many tears. It was a tough year of parenting because Walt and Whitney were at the age where they needed 100% of our attention (still do). There were no weekend naps, relaxing on the couch on a rainy day, or quiet meals. The house was total chaos, and Alex and I felt like we were losing our minds half of the time. Thank the Lord for family and friends who watched our kids so we could escape for a date night every now and then. It was much needed for our marriage. In March of 2017 I started writing monthly small goals and it has been a GAME CHANGER! For 2018 I won't make any hefty goals, but instead will continue to write out monthly goals. The key is to WRITE them down. I do think it's important to have major goals in mind so your monthly goals can help feed in to your lifetime goals. For me most of those goals are career focused, and I hope to be in a Senior Marketing position one day. Every once in a while I think about being a full-time blogger, but I always come back to wanting to work for someone else. Is that crazy? I honestly love that my blog is not tied to my income. Anything I make from collaborations is an awesome benefit, but my family doesn't rely on them. I hope in 2018 you make great strides in accomplishing your goals, whatever they might be. I am also a big believer in planning. My vacations would never happen if I didn't PLAN them usually a year in advance! Make a plan for the things you hope to accomplish, whether that's spending more time with your spouse, traveling, cooking more, learning a new hobby, or changing careers. Thank you for joining me in my journey. I truly appreciate you reading my blog!